Today, we honor all of our servicemen past, present, and future. 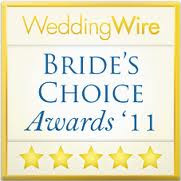 Emily Weddings is so blessed to have worked with many military couples and we look forward to working with more! We appreciate all that you do and sacrifice for this country and we would not be the great nation that we are today if it weren't for you! And to the families of military servicemen and women, we recognize all that you sacrifice as well, and we thank you for being the rock and support for these active duty members. In light of the holiday, we want to share some fun photos of a military wedding. We absolutely love all the details for this wedding and the couples commitment to military tradition.